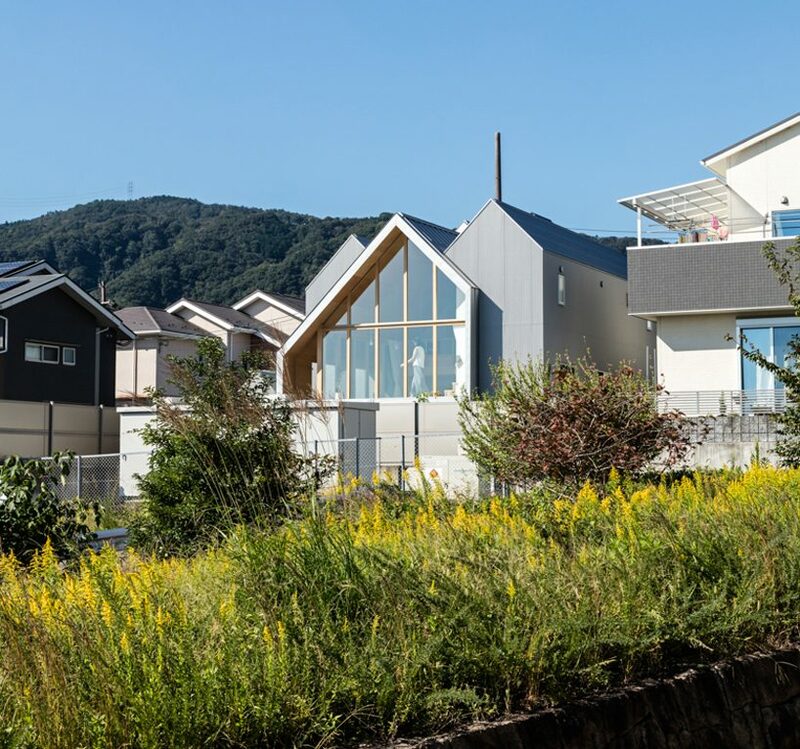 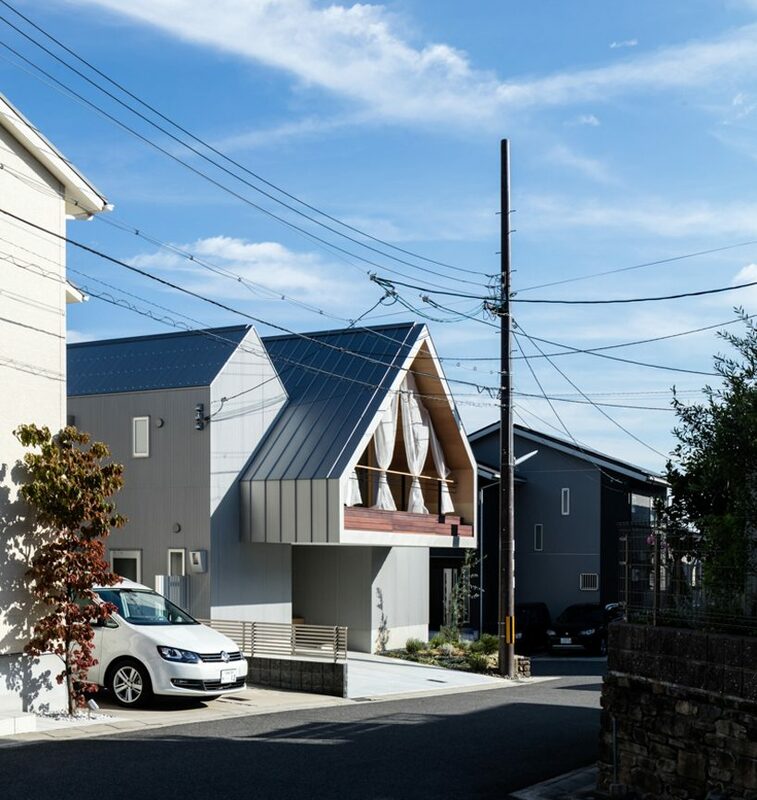 japanese architect hiroto kawaguchi in collaboration with kohei yukawa were commissioned to build a family house overlooking the picturesque japanese landscape. 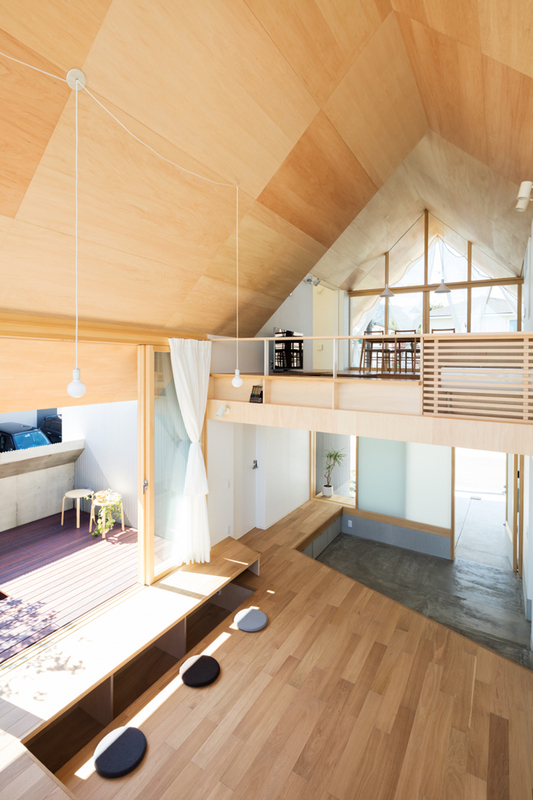 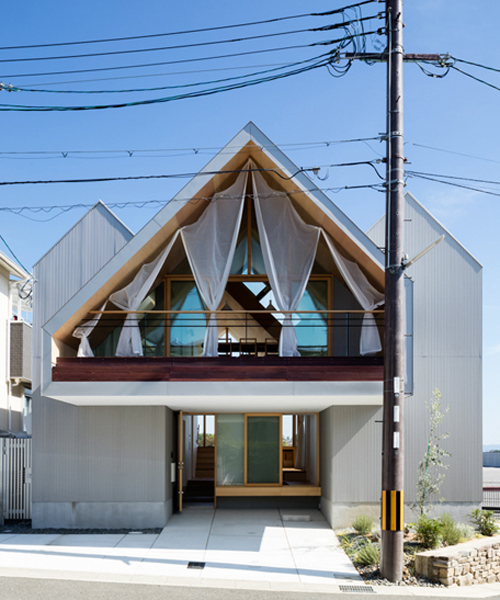 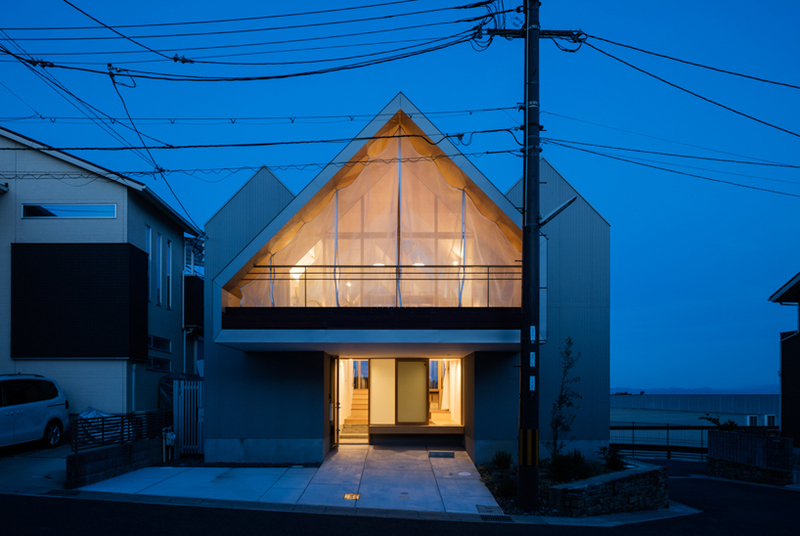 the residential house offers view of the clear blue skies as well as the cherry blossom trees. 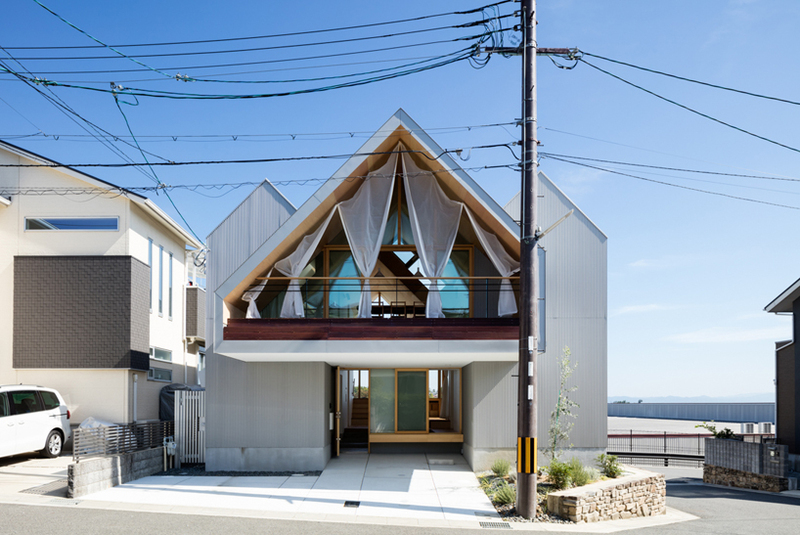 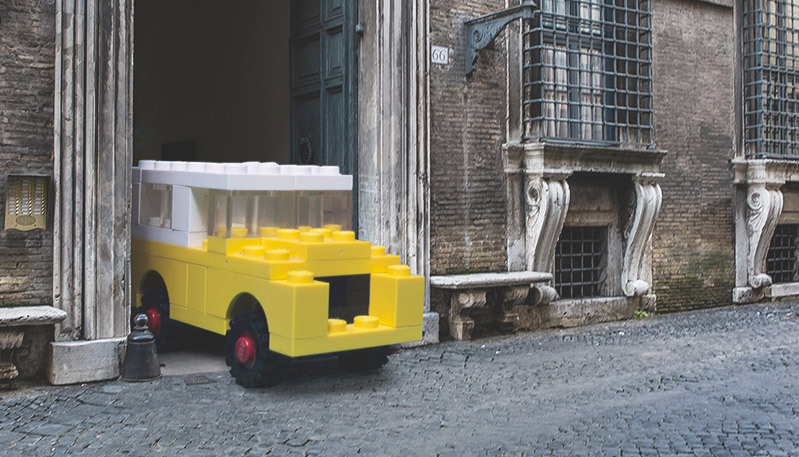 the home features three spaces: the parent’s house, the children’s house and ‘everyone’s house’. 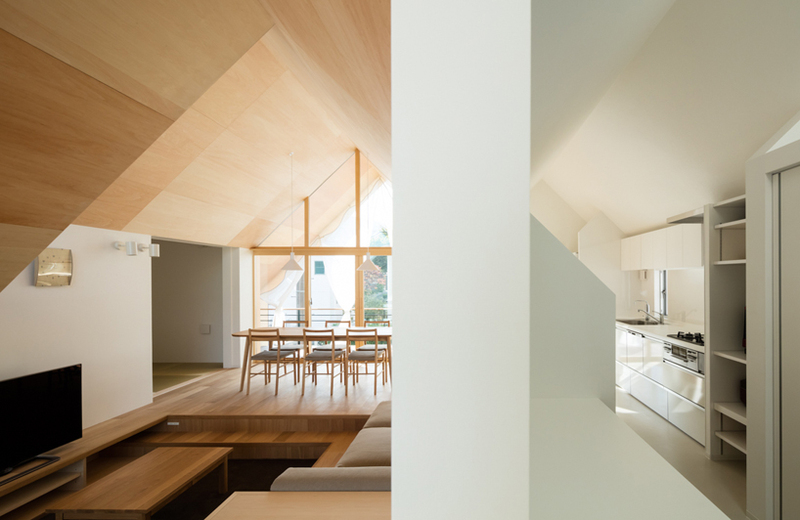 while keeping the central space open for everyone of the house, both the parents’ and the children’s houses stay open and connected. 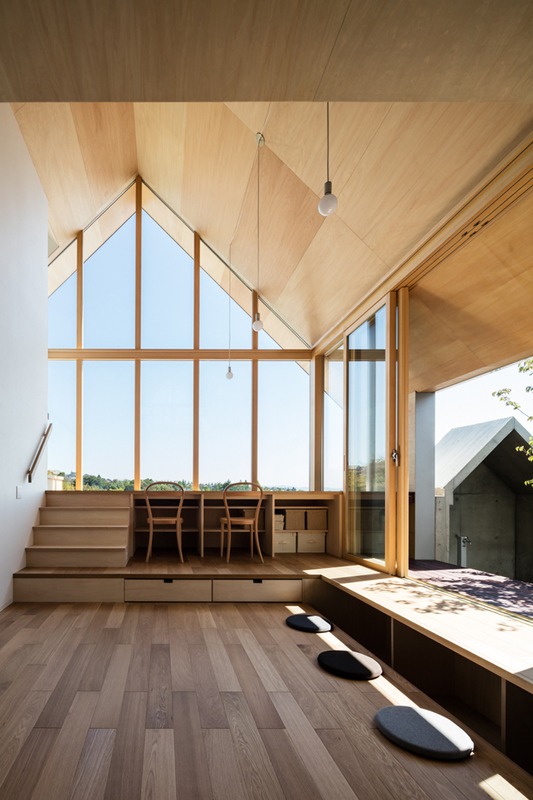 hiroto kawaguchi and kohei yukawa‘s newtown house is a residence that emits the sense of ‘living in the landscape’ due to the surrounding series of house-like volumes. 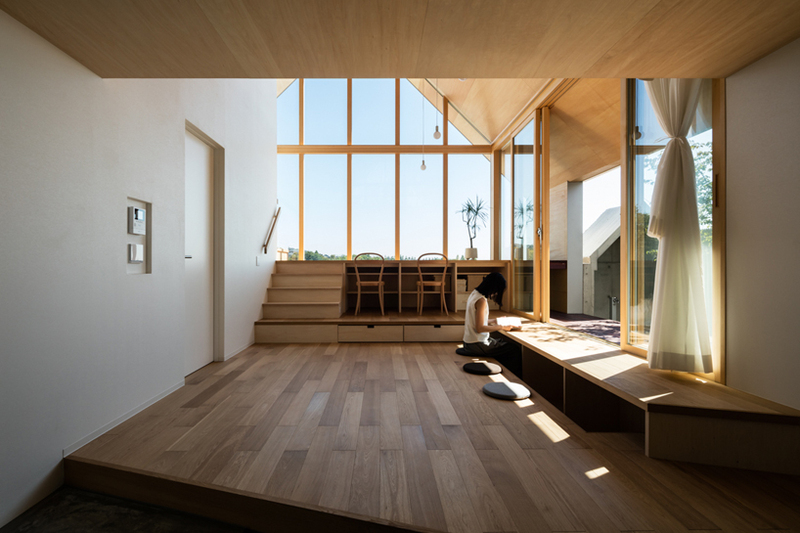 ‘everyone’s house’ is a continuous space both inside and out, and has varying floors with differing meanings to each level. 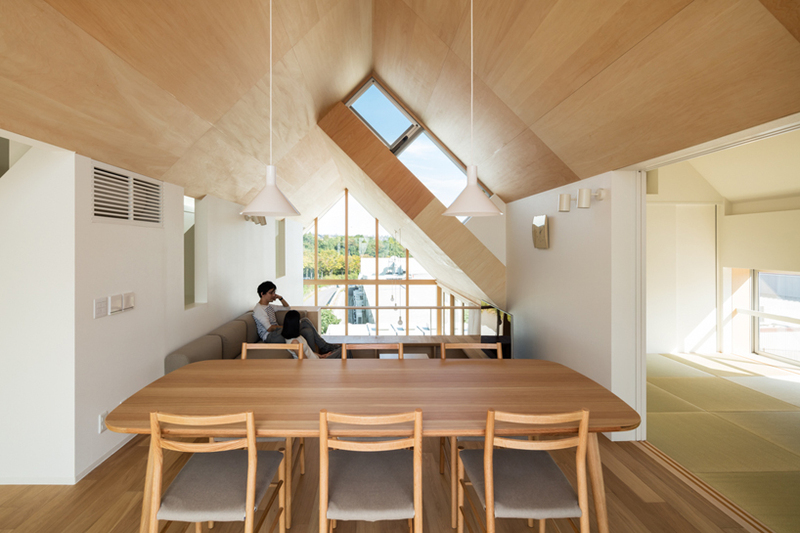 the hallway is a continuous space that can act as either a playground for the children, a study room for the family, or become a living room for the newtown residents. 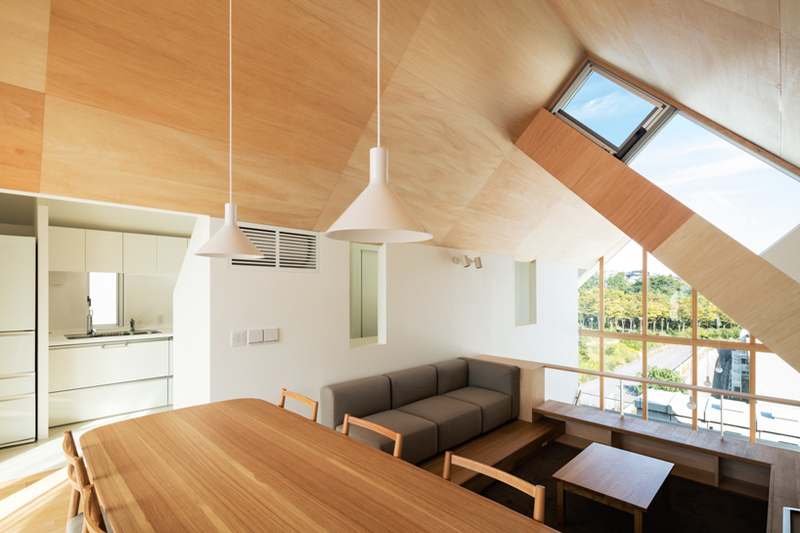 the inclined wooden ceiling found in each space is made continuous so that the human area and the scaled out volume can coexist. 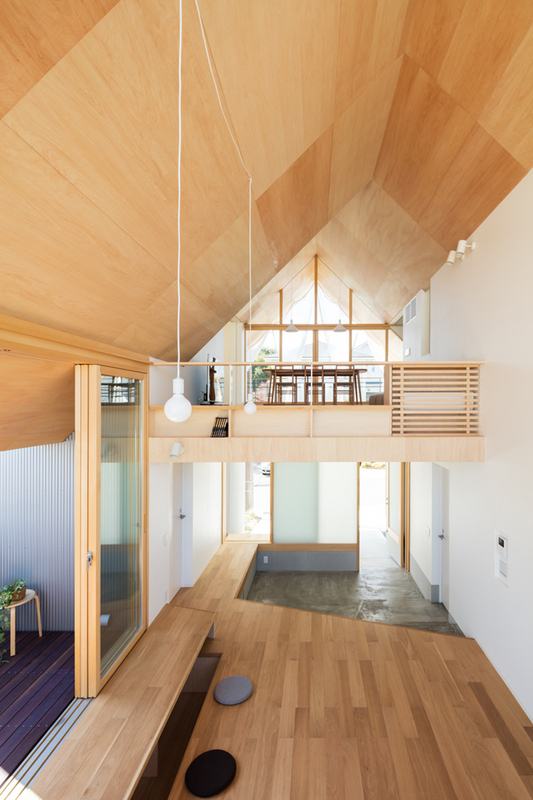 the slope of the ceiling connects to the outside area via the balcony, so that the residents experience the mountain ranges on the east and newtown in the west. 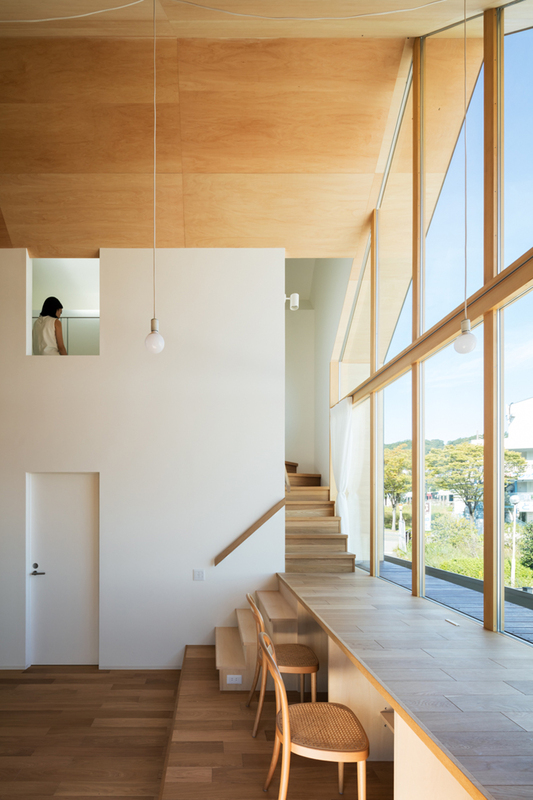 by rearranging and reconstructing the spaces of the house, the architects created a new relationship between the people and the landscape.